As an example of using the Container Development Kit, I'll present here the JBoss Travel Agency Project. We talked about the various layers from the bottom up, but have yet to provide you with any application development tooling beyond the Red Hat Container Development Kit (CDK). All you have so far is an easy-to-install project called the Container Development Kit Install Demo. We will be leveraging previous work that installs the Red Hat CDK. 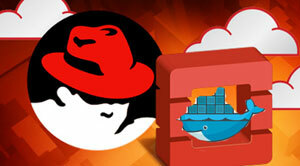 The Red Hat CDK is packaged into an RHEL 7 virtual machine that you can start on your machine after installing this project. There are several choices provided with pre-configured installations, but they all include the basic setup for Docker and the tools needed to start leveraging Docker-based containers. 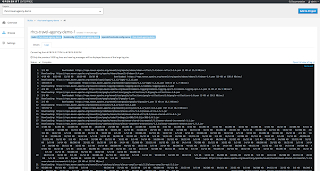 OpenShift Enterprise - a containerized version of OpenShift Enterprise can be started that can be accessed through a Web console in your browser or via the OpenShift command line tools. Explore your very own private PaaS developer experience with this container. First, complete the installation and start the OpenShift image supplied in the cdk-install-demo. Now you are up and running with a fully installed, Cloud-ready JBoss Travel Agency project! For more information aabout containers, a Cloud stack, and why you need to care about this containerized stack for your application development, see the App Dev Cloud Stack series that takes you on a tour of the Red Hat Cloud Suite.